This is a good time to sell your deli and here's how to do it! Modern life has made convenience a priority. At the same time, however, a lot of Canadians are looking for food that is locally and ethically produced. Enter the deli. The perfect place to find food that fills both these prerequisites. If you have a deli that you are thinking of selling, there are plenty of potential buyers that will be attracted to your business because of this! Despite this, though, there are still some questions to ask yourself before you put your deli on the market. What kind of deli are you? Although there are a lot of pros to owning a deli business, there is still a lot of competition within the food industry and this can intimidate buyers. Before you sell, make sure that you have a clear idea about the kind of business that you are. Define what it is that makes your deli stand out, not only from other delis in your area but also from other businesses that sell food. What is it about your business that draws customers in and who is your target audience? Having a clear idea of this will, hopefully, allow you to identify areas of growth that you will be able to point out to potential buyers. Buyers will want to know that there will be room for them to grow the business once they have taken it over. How will you hand the business over? The handover period can be a difficult time for the buyer and the seller. If you want to make it go as smoothly as possible, you should consider how to pass your knowledge and skills onto the new owner. The more you can make this possible, the more value there will be in the business. Consider training up your staff to be able to run your deli without you. A potential buyer would then be able to jump in with little disturbance to the business when they took it over. You should also put systems in place so that the running of your deli isn’t dependent on you. For example, who are your suppliers and what products do you get from them? Is there anything that you know about ordering from them that has come from your years of experience? The ability to pass this on to a buyer will make your business a more attractive buy. How will you prepare your deli for sale? No matter how great your deli is, there will be things that you will have let go over the years. Before you sell, address these and get your deli back into tip-top shape. With a business like a deli, cleanliness is key! You will need to do a thorough clean and replace any equipment that is not up to scratch. This is also a good time to do minor repairs around your deli. How will you market your deli? Once you have prepared your business for sale, finding the right buyer should be easier. Marketing to as many people as possible is a great way to get interest in your business but make sure that these potential buyers are serious, or you could end up wasting your time. 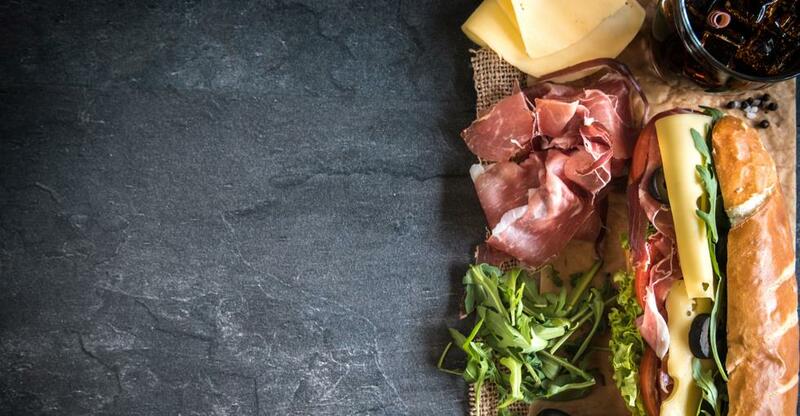 Here's everything you need to know to get your deli taking advantage of the food trends. Running your own deli can be a fantastic business opportunity, provided you adapt to the highly competitive and dynamic food retail industry. Take advantage of consumer trends with a deli.